You understand that having a personal collection of jewelry and accessories also requires having a place to keep them organized. Not having a proper space for your precious possessions usually ends with tangled, mixed up, broken and lost jewelry, accessories, make-up and others alike. So what can you do to avoid this from happening? 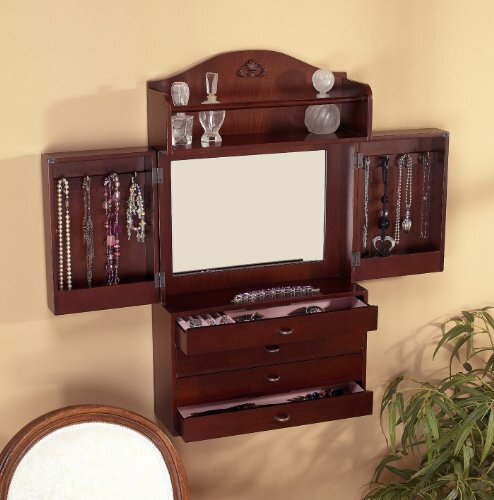 Well, the answer is right in front of your eyes: Wall Mount Jewelry Armoires. They are excellent as they help you organized your beloved possessions, whilst also taking less storage space. So it’s like shooting two rabbits with a single shot. Just imagine how easy it will be for you to find your favorite necklace, or your beloved pair of earrings – all you need to do is to open the door and there they will be, exposed to your sight. 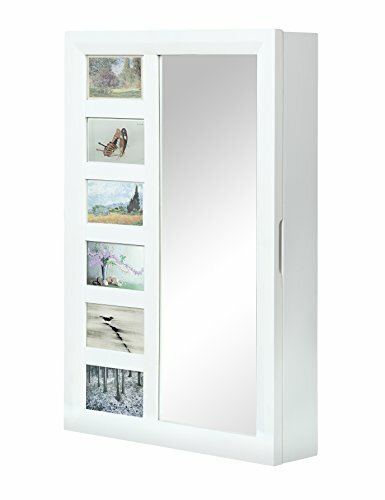 And that’s not all, as most of the wall mount jewelry armoires are complemented with mirrors, which enable you to check your appearance whilst trying your jewelry or creating your desired make-up. However, the mirror is only one of the features, but there are many others, and they differ depending on the model you choose. If you need more security, then you can also look for armoires that come with a lock. One of the greatest advantages of these armoires is that despite the less storage space they require, they offer you plenty of place to organize your valuables. Their interior offers you different compartments and hooks, so you can find a place for each of your items. Having your collection organized saves you from a lot of hassle. 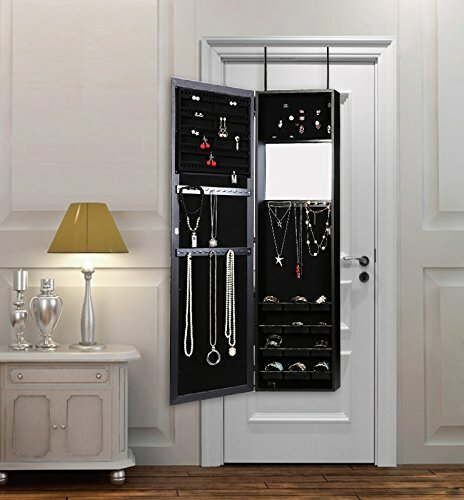 As you will soon discover, the wall mount jewelry armoires come in various sizes, shapes, colors, materials and they have different features. Therefore, you need to take your time and check the options that they offer, to find the perfect match to your room.